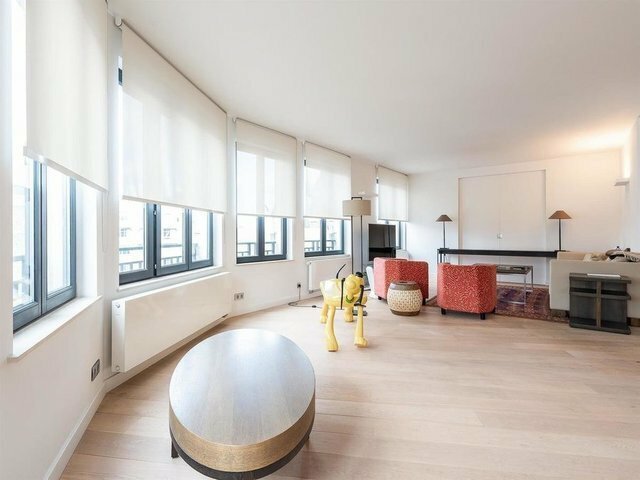 On the prestigious Place Brugmann, in a modern and secure building, penthouse of ± 479 sqm and ± 100 sqm of terrace on the fifth and last floor. The apartment consists of large reception rooms with double lounge, an office and a separate dining room overlooking the kitchen and a scullery with access to a spacious terrace oriented. The night area consists of four large bedrooms with their integrated walk-in closets and en-suite bathrooms. Other: security door, alarm system, hardwood floor and service entrance. Possibility to rent several parking spaces in the building. The Brugmann area is known for its quality of life, it is a quiet and green area surrounded by shops and restaurants. It is located near several high schools. Easy access to public transportation. For further information, please contact Vincent Verbruggen at +32 (0) 2 640 08 01.